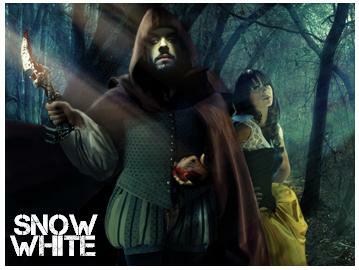 According to "The Hollywood Reporter" Rupert Sanders will direct SNOW WHITE AND THE HUNTSMAN, a new take on the famous fairy tale in which the huntsman, who was ordered to take Snow White into the woods and kill her, but decided to let her free, will now have a new role. In this new film he will actually be shackled to the girl for a good deal of the movie and the huntsman will not be a love interest, instead he will act as a mentor, with the prince still very much a part of the story. intense flashes from this intriguing sf story about an earthbound alien disguising himself as a high school student in an attempt to hide from a rival species looking to destroy his race. Gorgeous young cast including magnetic Alex Pettyfer, Jake Abel, gorgeous Dianna Agron, mesmerizing Teresa Palmer, Callan McAuliffe alongside Timothy Olyphant and Kevin Durand, will portray a group of nine earthbound alien teens who escaped their home planet just before it was destroyed by a hostile species. While the high school-aged kids assimilate, one of them discovers that he is being hunted by the enemy that blew up his planet. The film premieres next February. GORE VERBINSKI AND JOHNNY DEPP TO REUNITE 4 "THE LONE RANGER". DARREN ARONOFSKY AND NATALIE PORTMAN TO REUNITE 4 "SUPERMAN" REBOOT. RACHEL BILSON IS IN "GHOST ANGELES"
According to "MovieWeb" director Gore Verbinski might reunite with Johnny Depp on THE LONE RANGER. 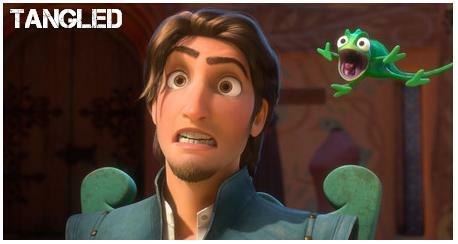 As you know, the two of them worked together on THE PIRATES OF THE CARIBBEAN. 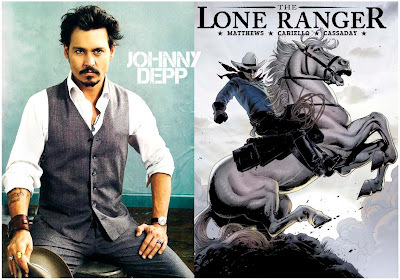 The popular western follows The Ranger, a masked cowboy riding a white stallion named Silver, who is trying to bring the unscrupulous gangs and others of that ilk to justice. something like GHOST WHISPERER but without Jennifer Love Hewitt :) The show will be produced by Josh Schwartz (CHUCK, GOSSIP GIRL). The latest gossip about SUPERMAN reboot says that one of the strongest candidates for the director's seat is Darren Aronofsky and according to the same gossip if he takes the helm he will put his muse Natalie Portman in the role of Lois Lane, with whom he just finished BLACK SWAN. The rumors also say that Warner Bros. and Legendary Pictures had wanted Natalie Portman in this role back when they were shooting SUPERMAN RETURNS a few years ago as well. The reboot must start with the production soon before the studios lose rights on the famous superhero character. leaving Polly Walker (8%) and Helen Mirren in third and fourth place with Polly scoring just two votes more than Helen. Now methinks you will agree with a strange notion I have that this poll has been hijacked by Thandie Newton's fans, because she probably wouldn't be able to beat experienced and acclaimed actresses such as Helen Mirren, Kate Winslet or Polly Walker in reality, but I won't complain too much :) I do love the beautiful and sensual Thandie. dramatic talent in one of the best films of the last decade THE CRASH by Paul Haggis. After that she didn't have a lot of noticeable roles, but I must admit I remember and love her most for her touching portrayal of African doctor in famous TV show E.R. where she had a tragic love with Noah Whyle. In 2012 she got the chance to play a presidential daughter. In the future we shall watch her in futuristic mystery THE VANISHING ON 7TH STREET alongside Hayden Christensen and then in spooky thriller RETREAT alongside Cillian Murphy and Jamie Bell. It's interesting that she has a Cambridge degree in anthropology, proving she's not just beautiful but smart as well. She was supposed to be a CHARLIE'S ANGEL instead of Lucy Liu. Would you believe that she is almost 40? (MISSION IMPOSSIBLE, ENIGMA, ARABIAN NIGHTS), Kenneth Branagh (HAMLET, MUCH ADO ABOUT NOTHING), Johnny Lee Miller (THE FLYING SCOTSMAN, AEON FLUX, MINDHUNTERS, EMMA), Paul Bettany (LEGION, WIMBLEDON, THE YOUNG VICTORIA, PRIEST), Anthony Hopkins (SILENCE OF THE LAMBS, THOR, ALEXANDER), Jeremy Northam (THE TUDORS, GOSFORD PARK, ENIGMA) and Clive Owen (ELISABETH THE GOLDEN AGE, KING ARTHUR). Vote on and let the best men win! 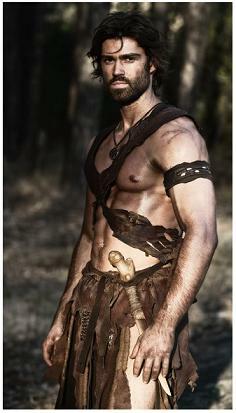 STARZ TO FIND NEW SPARTACUS FOR "BLOOD AND SAND"? GUILLERMO DEL TORO MAKING "TROLLHUNTERS". 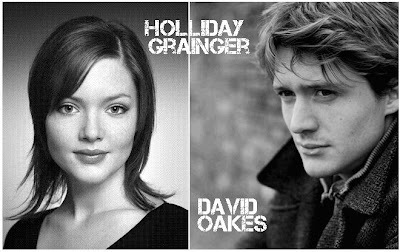 DAVID OAKES AND HOLLIDAY GRAINGER ARE LUCREZIA AND JUAN IN NEW EPIC SAGA "THE BORGIAS"
prequel SPARTACUS GODS OF ARENA which will be aired early next year describing the rise of the house of Batiatus. 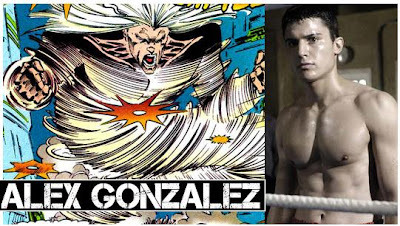 The new update is that Starz is now thinking of finding a new actor for the role of the brave gladiator, since Andy probably won't be able to return any time soon, and Andy is apparently OK with that solution. The second option is to cancel the whole show, which would be unwise having in mind the financial and critical success of the show so far. I'll keep you posted. Guillermo del Toro will write and direct an animated movie for Dreamworks. Tittled TROLLHUNTERS, the film will be based on his YA novel, which he is currently writing, combining fairy tales and creatures of ancient lore with modern times and it will tell the story of how difficult it is to be a kid. But he first has to finish spooky arctic flick AT THE MOUNTAINS OF MADNESS for which he already has one of the actors - Ron Perlman. Rodrigo have been cast: gorgeous young British actress Holliday Grainger ("Merlin") has been cast for the lead female role of Lucrezia Borgia, the beautiful and passionate daughter of the pope, while young David Oakes ("Pillars of the Earth") will play her older, more responsible, brother Juan Borgia. 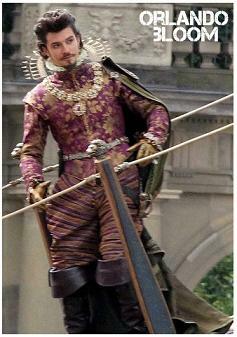 Trevor Morris who made the amazing scores in THE TUDORS will compose the music in THE BORGIAS as well. Now this sounds like a great tandem, two super gorgeous and super talented creatures together: Charlize Theron and Patrick Wilson will star in YOUNG ADULT. Written by creative Diablo Cody ("Juno", "The United States of Tara") and directed by Jason Reitman ("Up In The Air"), YOUNG ADULT will focus on a ghostwriter (Charlize Theron) of young adult novels who returns to her hometown to reconnect with high-school friends and an ex-boyfriend who wants nothing to do with her. A whole bunch of gorgeous TV actresses will have new gigs as guest stars in popular TV shows: Teri Hatcher will appear in SMALLVILLE as Lois Lane's mom, Eliza Dushku will appear in THE BIG BANG THEORY as an FBI agent, Summer Glau will appear in CHUCK, and Hilary Duff will guest star in COMMUNITY. Another interesting tandem appears in RABBIT HOLE, a drama which premieres this December in the pre-Oscar season. Starring Nicole Kidman and Aaron Eckhart and based on the Pulitzer-Prize winning play, the film tells the story of parents who are struggling to cope with the death of their four-year-old son. 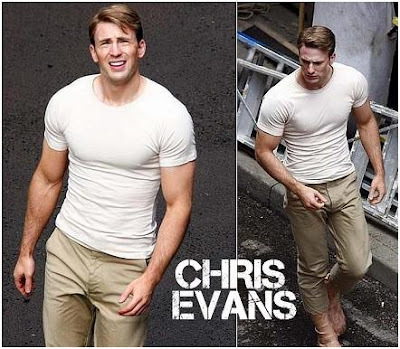 gets drafted to go to war, but he doesn't know what to do with his young wife, the dance teacher, whom he had met during his studies in Western Europe. Seeing Filip's problem, Azem, an uneducated traditional Albanian who works as a janitor in his school, vows to him that he will protect and take care of his wife no matter what. But what happens when the unexpected and forbidden love between a Christian woman and an older Muslim man threatens to break that vow? This touching historical drama, which deals with the deep historical differences between classes and religions, has gotten great critical reviews since its premiere this year and has scored many prizes at international film festivals. 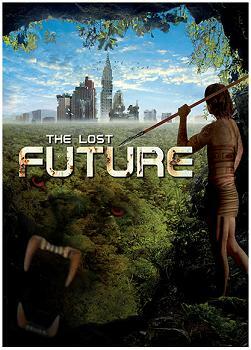 I'm not sure how I missed this one so far: scheduled to premiere sometime this year THE LOST FUTURE is SyFy's and Germany's RTL elaborate new mini series. This post-apocalyptic story will be set in 2510, where a group of post-apocalyptic survivors struggles to survive in a world where jungles and forests and primeval wetlands and deserts have obliterated civilization. They staunchly face genetically mutating beasts and mysterious diseases in an attempt to re-establish the human race as masters of Earth. Although humans have devolved back to the Stone Age a small group of wise men knows there is knowledge in the mysterious artifacts called books. Now they have found a young man who knows how to read. If they can defeat the warlord who rules the city where the books are kept, the young man can help them defeat the disease that decimated the world and restart civilization. Beside Sean Bean (whom we can expect in HBO's "Game of Thrones" next year) in the lead role, the cast of this enigmatic, multifaceted story full of surprising turns, also includes great young actor Sam Claflin (we've watched him this summer in "Pillars of the Earth " and he will also star next year in "Pirates of the Caribbean: On Stranger Tides"), Eleanor Tomlinson ("Alice in Wonderland", "The Illusionist"), gorgeous Annabelle Wallis (beautiful queen Jane Seymour from "The Tudors") and hunky Corey Sevier who plays the future leader of the tribe. The film is directed by Emmy-winner Mikael Salomon ("Band of Brothers", "The Company"). Not much is known about the film so far, but HOLLYWOOD SPY will try to keep you informed on the project. PICS OF CHRIS EVANS FROM "CAPTAIN AMERICA". 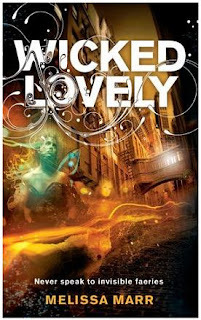 FAIRY SAGA "WICKED LOVELY" GETS A FILM. WARNER BROS SF EPIC "EXPULSION". TRAILER 4 "MRS PEPPERCORN'S MAGICAL READING ROOM"
Now while our cinemas are swamped with vampires, werewolves, Mel Gibson and other scary creatures :) here's a real refreshment: Kimberly Peirce ("Boys Don't Cry") will direct the adaptation of WICKED LOVELY a book by Melissa Marr about a young girl who has the ability to see a hidden fairy world. The story follows Aislinn, a girl who has always seen faeries but followed her grandmother's rules to ignore them at all costs. But suddenly the faeries are stalking her and she's forced to confront them and their world that she's feared all her life. There's also Keenan, a Summer King, who has been searching for his Summer Queen for nine centuries and now he has his eyes on Aislinn. 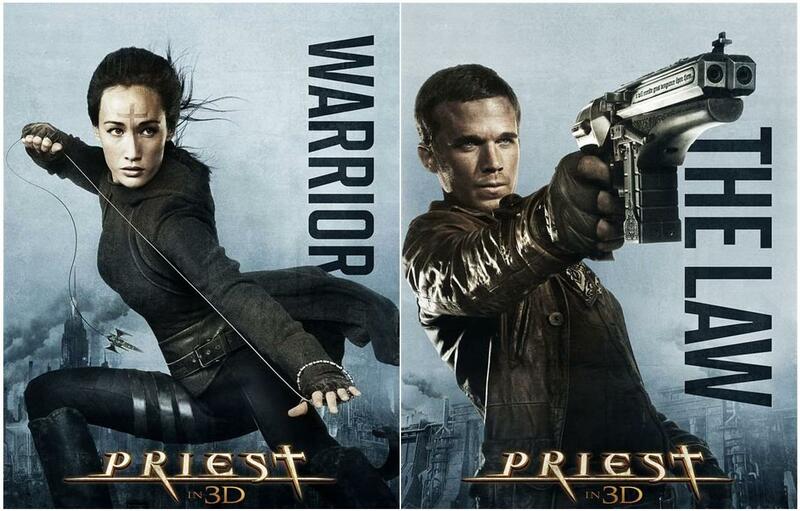 It seems that Warner Bros is preparing a huge sf project. According to "Deadline" the studio has bought a script from author Gregg Hurwitz called EXPULSION. This futuristic film will begin with an act of terror which destroys Earth after which a small band of survivors escape to a planet beyond the solar system. And if you like magic and fairy tales, you might want to check out the trailer for the small and low budgeted but super charming British film MRS PEPPERCORN'S MAGICAL READING ROOM, directed by Mike Le Han, a story about a little girl who gets more than she bargained for when she sees some unusual movement in the reading room of the shop across the street. There she meets Mrs. Peppercorn who shows her how magical the world can be ... The trailer is very atmospheric. KATE WINSLET & JODIE FOSTER IN "GOD OF CARNAGE". REESE WITHERSPOON IN "BRAVE". 1ST TRAILER FOR "THE KING'S SPEECH". EMILY BLUNT IN "ENGAGEMENT GAMES"
Disney and Pixar are working on BRAVE a charming animated movie in which Reese Witherspoon will give voice to Merida, a Scottish princess looking to escape her royal fate and become a world-renown archer. A clash of wills with her mother compels Merida to make a reckless choice, which unleashes unintended peril on her father's kingdom and her mother's life. 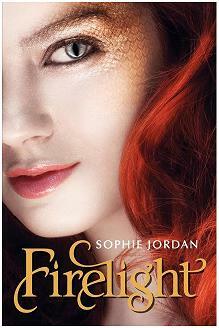 Merida struggles with the unpredictable forces of nature, magic and a dark, ancient curse to set things right. The film should be out in 2012. Kate Winslet and Jodie Foster will act together in Roman Polanski's GOD OF CARNAGE, a film about two sets of parents who decide to have a cordial meeting after their sons are involved in a schoolyard brawl. The union turns sour once the parents begin attacking each other over their questionable parenting skills, and soon this heated discussion turns to their marital problems as well. The husbands will be played by Matt Dillon and Christoph Waltz. And I finally have a trailer for the praised drama THE KING'S SPEECH in which Colin Firth plays British king George VI, who unexpectedly became king when his brother Edward (Guy Pearce) abdicated the throne. Geoffrey Rush stars as the speech expert who helps the king find a voice with which to lead the nation into war. The cast also includes Helena Bonham Carter as Queen Elizabeth the Queen Mother, Derek Jacobi, Timothy Spall and Michael Gambon. LIAM HEMSWORTH IS "FALLEN" ANGEL. MILLA JOVOVICH IN COSTUME IN "THE THREE MUSKETEERS". HILARIOUS TRAILER FOR "GNOMEO AND JULIET"
Does Liam Hemsworth, the brother of Chris Captain America Hemsworth and the boyfriend of Miley Montana Cyrus, look like an angel to you? Well, he might take the lead role in Disney's FALLEN, a teen fantasy similar to "Twilight" but with fallen angels instead of vampires. This will be an adaptation of the cheesy novel by Lauren Kate about a high school student who experiences forbidden love, and has to choose between two young men who are actually fallen angels who have battled over her for centuries :)) Ah, the story of my life :))) As HOLLYWOOD SPY wrote earlier, young Liam is also playing the lead role in 2011 epic "Arabian Nights". You can also check out the first trailer for the crazy, funny and super charming animated movie GNOMEO AND JULIET which features songs from Elton John and voices from Emily Blunt, James McAvoy, Jason Statham, Michael Cane ... Premiering in February 2011, GNOMEO AND JULIET will be a story about two garden gnomes who have as many obstacles to overcome as their quasi namesakes when they are caught up in a feud between neighbors. But with plastic pink flamingos and thrilling lawnmower races in the mix, can this young couple find a happy ending? 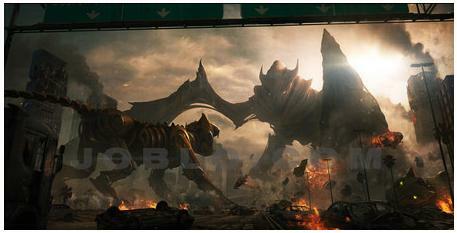 "ENDER'S GAME" SF EPIC. SPIELBERG TO DIRECT "ROBOPOCALYPSE". 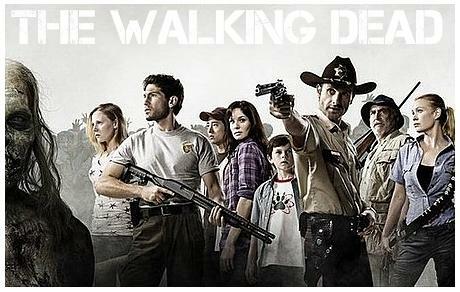 READY FOR ZOMBIE INVASION IN "THE WALKING DEAD" TV SHOW? This Halloween will sure be spooky if you decide to spend it watching the premiere of AMC's new zombie TV show "The Walking Dead" which has already caused quite a hype around the Net. The show will be set in the dark, scary and grim time after a zombie apocalypse when a group of survivors tries to find a safe and secure home. The cast includes Andrew Lincoln ("Love Actually"), Jon Bernthal ("The Pacific"), Sarah Wayne Callies ("Prison Break")... and is directed by Frank Darabont. Director Gavin Hood ("Wolverine") might helm the film adaptation of Orson Scott Card's sf epic "Ender's Game" set in a world in which humans face a serious threat from an alien race known as the Formics and begin training elite military units in response. 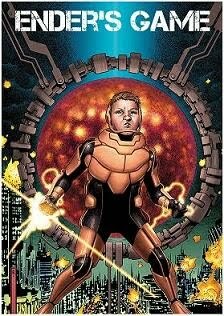 Against this backdrop comes Andrew Wiggin, also known as Ender, who becomes a top-flight soldier and helps to save Earth by fighting simulations that turn out to be real. It seems all the producers and agents in Hollywood want to take part in "Robopocalypse" after Steven Spielberg has shown interest in directing this movie himself. This lavish sf epic would explores the fate of the human race after the world was hit by a robot uprising. And, coming directly from our favourite Asian spy, Jaccsy, you must check out the stunning trailer for new Japanese sf epic "Space Battleship Yamato" or "Star Blazer" which will be its US name. This interplanetary film, with the theme song by Steven Tyler :) is set in the year 2194. The Gamilons, an enemy of undetermined form, begin an invasion of Earth. The nations of Earth pool their forces and fight back, but their armies are defeated and most of humanity wiped out. Five years later, in 2199, the Earth has been polluted by space bombs, and those who remain alive have fled underground. Even the former top pilot, Susume Kodai, has left the military. One day as he is exploring above-ground, a mysterious object falls out of the sky. This is a communications capsule from the planet of Iscandar, 148,000 light years distant, which has an equipment that will eliminate the radiation. 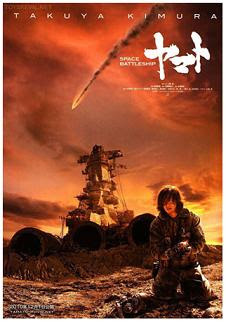 The Defense Force of Earth equips the Space Battleship Yamato with a previously unknown propulsion system, a wave-motion engine based on plans found in the capsule. Kodai rejoins the Force, and resolves to set out aboard the Yamato. With the fate of the Earth in their hands, the crew blasts off for distant Iscandar. They have one year until radiation drives humanity to extinction. There are always some shows with amazing plots like DESPERATE HOUSEWIVES (super intelligent twists, brilliant acting, witty humour), clever dialogues like THE UNITED STATES OF TARA, beautifully written lines like in GILMORE GIRLS or mind-blowing and ultrashocking stories like in NIP/TUCK. Some people have prejudices and won't watch these shows, but they all bring the most profoundly written scripts TV has even seen raising television programmes on some much higher level. I grew up with STAR TREK, watching mostly NEW GENERATION, but I also loved VOYAGER for it's scientific vibe and ENTERPRISE. As a teenager I also loved SLIDERS with Jerry O'Connel and Karie Wuhrer who traveled through parallel dimensions. And off course there's also the prematurely deceased FIREFLY. 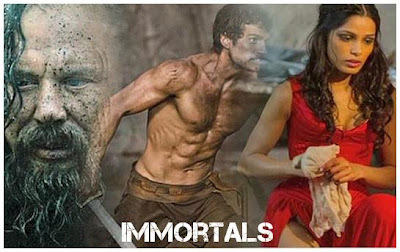 Not many of those on TV unfortunately, but I do love BBC's MERLIN with amazing Colin Morgan, I also enjoyed SPARTACUS BLOOD AND SAND, and I will forever miss LEGEND OF THE SEEKER and my favourite Mord Sith Cara. Can't wait for Starz' CAMELOT and HBO's GAME OF THRONES next year! One thing's for sure, over in Britain they know how to make memorable TV programmes. 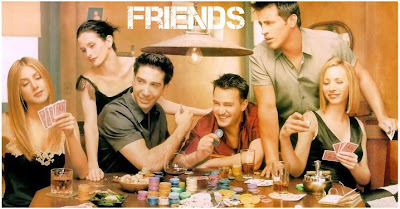 I can't describe how happy I am for growing up with AS TIME GOES BY (the legendary sitcom with Judi Dench). I've never laughed so much as I laughed watching WW2 comedy ALLO ALLO with the brilliant gallery of characters and cult lines, and Rowan Atkinson's hilarious acting in BLACKADDER. Many times I thought I'd die from laughter watching Patsy and Edwina in ABSOLUTELY FABULOUS. I'm sad that the world doesn't make such shows any more. When it comes to British TV I also loved ITV's brilliantly written show THE PALACE about a fictional royal court with an amazing chemistry between young king Richard and his PR Abigale. Then there's also CRANFORD mini series which brings the best acting TV has even seen, and BBC's supercharming BEING HUMAN in which a vampire, a werewolf and a ghost live together as roommates. Officially my own most anticipated movie of 2011 "Immortals" has been given a release date and a very interesting one - 11.11.2011. Directed by visual genius Tarsem Singh (who brought us amazing visual feasts in "The Cell" with Jennifer Lopez and in "The Fall" with Lee Pace, and he also directed REM's "Loosing My Religion" video) this epic adventure will be set eons after the Gods won their mythic struggle against the Titans, but now a new evil threatens the land. Mad with power, king Hyperion (Mickey Rourke) has declared war against humanity. Amassing a bloodthirsty army of soldiers disfigured by his own hand, Hyperion has scorched Greece in search of the legendary Epirus Bow, a weapon of unimaginable power forged in the heavens by Ares. Only he who possesses this bow can unleash the Titans, who have been imprisoned deep within the walls of Mount Tartaros since the dawn of time and thirst for revenge. In the king’s hands, the bow would rain destruction upon mankind and annihilate the Gods. But ancient law dictates the Gods must not intervene in man’s conflict. They remain powerless to stop Hyperion until a peasant named Theseus (Henry Cavill) comes forth as their only hope. Secretly chosen by Zeus, Theseus must save his people from Hyperion and his hordes. Rallying a band of fellow outsiders, including visionary priestess Phaedra (Freida Pinto) and cunning slave Stavros (Stephen Dorff), one hero will lead the uprising, or watch his homeland fall into ruin and his Gods vanish into legend. Now this is just plain horrible if not even disgusting: that obnoxious Sacha Baron Cohen, aka Ali G, aka Borat, will play Freddie Mercury in a biopic about the famous pop icon and the leader of the Queen!!! I mean, what did such a great musician do to deserve to be humiliated by such a horrible actor playing him??? The movie will follow Queen's formative years, which will lead up to the band's performance at Live Aid in 1985 and the producers have the license to use Queen's songs in the film. Now, I've no idea where did this one come from, I've never heard of it before, but here's an adorable and magical trailer for the steam-punk adventure "The Nutcracker 3D" which is coming to cinemas this Holiday season. Directed by famous Russian director Andrei Konchalovsky and starring Elle Fanning, John Turturro, Nathan Lane and Charlie Rowe, this lovely film is set in the 1920s Vienna and follows little Mary who lives in a home filled with lovely things and loneliness. 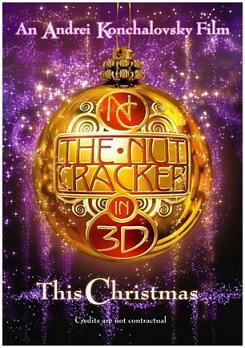 On Christmas Eve, Mary's beloved Uncle Albert arrives with the gift of a wooden nutcracker doll. Later that night, Mary's imagination brings the doll to life. Introducing himself as NC he takes her on a wondrous journey through a stunning dimension where toys assume human form and everything appears ten times larger. But danger lurks. An army of toothy rat creatures, led by the flamboyant Rat King and his devious mother, has unleashed a plot to overthrow humanity. When NC is captured and placed under a paralytic spell, Mary, her brother Max and a spirited band of toy sidekicks must rescue him from the Rat King's clutches and thwart his wicked plans to 'ratify' the world. 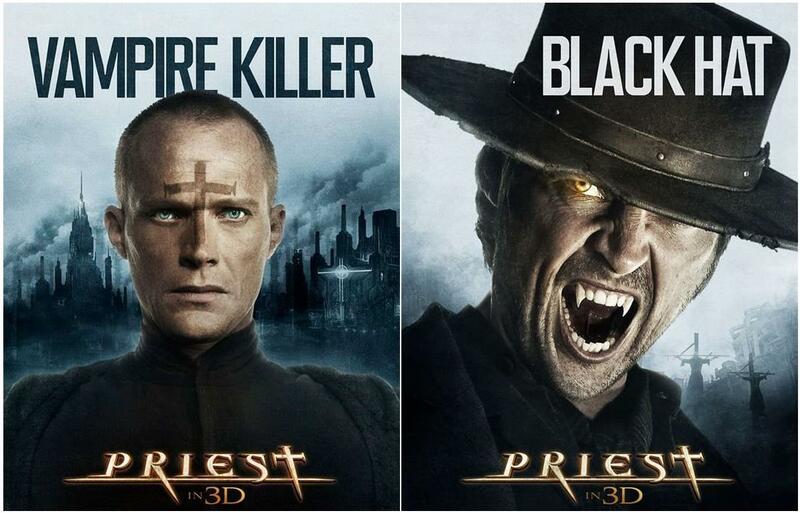 The first thing I have for you today are four cool character posters for the sf vampire epic "Priest" which premieres next year. Starring Paul Bettany, Karl Urban, Stephen Moyer, Cam Gigandet, Madchen Amick, Christopher Plummer and Maggie Q this dystopian film will follow a warrior priest who breaks his sacred vows to Church after his niece gets abducted by a murderous pack of vampires, and goes on a quest to find her before she turns into a vampire as well. 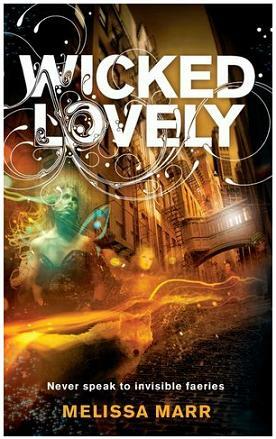 He is joined on his adventure by a trigger-fingered young wasteland sheriff, and a former Warrior Priestess who possesses otherworldly fighting skills. 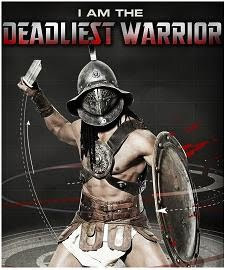 Although the plot is still kept as secret, Paramount Pictures will make a big-screen adaptation of Spike TV's hit series "Deadliest Warrior". The popular TV series has put history's greatest warriors against one another to determine who reigns supreme using modern science and the latest CGI technology, and the comments from world-class fighters, historians and weapons experts. The show had battles like Spartan vs Ninja, Viking vs Samurai, Pirate vs Knight, Comanche vs Mongol. This could be a helluva intriguing film. We've been hearing, for more than a decade now, how Hollywood is preparing a film adaptation of John Milton's famous epic poem "Paradise Lost" but now it's official - Alex Proyas has been hired to direct it for the Legendary Pictures. As you know Milton's "Paradise Lost" was about the epic battle between archangels Michael and Lucifer and this is going to be an action movie with 3D aerial battles. I'm excited already. And if you liked watching "Voltron" animated series as kids, you will be happy to hear that "Voltron: Defender of the Universe" film is in preparation and you can check out the first concept art. "Voltron" follows five Galaxy Alliance pilots who control vehicles shaped like lions that combine and form the massive sword-wielding Voltron robot in order to battle an evil menace. The film itself will be set in post-apocalyptic New York City and Mexico. 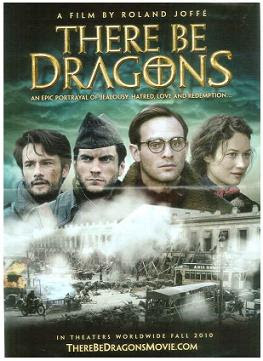 CHARLIE COX, WES BENTLEY, DOUGRAY SCOTT AND OLGA KURYLENKO IN "THERE BE DRAGONS". CUTE NEW TRAILER FOR DISNEY'S "TANGLED"
Coming to cinemas later this year is a historical drama "There Be Dragons" which brings a thrilling tale from the aftermath of the Spanish Civil War with a great (and super hot) cast including Charlie Cox (the lead from "Stardust"), Wes Bentley (he was amazing in "American Beauty" and "The Four Feathers"), Dougray Scott ("Ever After", "Mission Impossible", "Desperate Housewives", "Enigma"), Rodrigo Santoro (Xerxes in "300"), gorgeous Olga Kurylenko ("James Bond", "Centurion", "Empires of the Deep") and lovely Lily Cole ("Imaginarium of Dr. Parnassus"). The plot: Arising out of the horror of the Spanish Civil War, a candidate for canonization is investigated by a journalist who discovers his own estranged father had a deep, dark and devastating connection to the saint's life. Check out the intriguing trailer which promises a very touching drama. You know how I love me some good epics, so I don't mind John Fusco ("Hidalgo") writing a script for "Day of War", a 3D historical epic about the early life and adventures of David before he became king of Israel. The film will be an adaptation of Cliff Graham's "Lion of War" book and it will be directed by David L. Cunningham ("The Dark is Rising"). Another programme which will air on HBO early next year is the five-hour mini series "Mildred Pierce" with our dear Kate Winslet and you can check out the first trailer. Directed by Todd Haynes (which isn't a good thing if you ask me) it tells the gripping story of Mildred Pierce Beragon, a wife who leaves her unemployed husband and gets a job as a waitress while struggling to earn her daughter's (Evan Rachel Wood) love in Los Angeles during the Great Depression. Smells like Emmies. 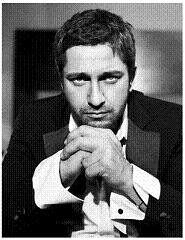 Now, the winner was kinda expected - Gerard Butler is HOLLYWOOD SPY'S BEST BRITISH GENT with stunning 1389 votes! Close to the number of all the lovely girls he dated so far :) Why do we love him so much - he's charming, funny, talented, a great guy, often very royal (ATILLA, 300, BEOWULF), sometimes charmingly naughty (THE UGLY TRUTH, THE BOUNTY HUNTER), often dangerous (LAW ABIDING CITIZEN, GAMER, THE REIGN OF FIRE) but usually just smashing dashing (PHANTOM OF THE OPERA). 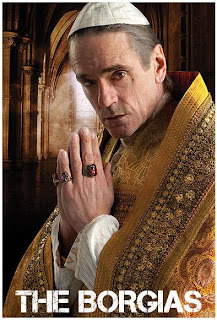 It's our Gerry Berry :) Can't wait to see him as CORIOLANUS, BURNS and MACHINE GUN PREACHER in 2011. My ladies really like Rufus Sewell, so he took second place with breathtaking 776 votes which would bring him victory in almost any other poll. We love RufRuf because he is always so very genuine and kind, and emits warmth even when he plays villains. He is also often very royal (THE ILLUSIONIST, TRISTAN AND ISOLDE, THE LAST KING, HELEN OF TROY) and we can't wait to see him in some great new film roles. The young hope from the British Isles, James McAvoy took third place with stunning 231 of your votes. Who wouldn't love him with all of his talent, charisma, peaceful presence and modesty. Admit that you just loved him in NARNIA, that you found him amazing in ATONEMENT, that you believed him in DUNE, that he took your heart away in PENELOPE and that you can't wait to see him in X-MEN FIRST CLASS. The fourth place was left for a man who should be proud with the 165 votes he got from you. Damian Lewis, one of my personal favourite British actors. He was the star in the stunning cast of THE BAND OF BROTHERS, he was the charismatic and magnetic head of the family in THE FORSYTE SAGA, he was also great in LIFE, DREAMCATCHER, COLDITZ... he deserves lead roles in big Hollywood movies. Do I smell a redhead Bond? Now, let us move to our next poll. You will have the rest of September to vote for THE BEST BRITISH LADY part two. The first part of the poll was won by her imperial majesty Judi Dench (stand up and bow immediately or you shall be flogged), and the following ladies, the creme de la creme of British acting, are in the new poll, so vote on as much as you like: British rose Kate Winslet (READER, TITANIC, LITTLE CHILDREN), British orchid Polly Walker (ROME, CLASH OF THE TITANS), British iris Helen Mirren (THE QUEEN, CALIGULA), British tulip Saffron Burrows (ENIGMA, TROY), British violet Kate Beckinsale (UNDERWORLD) and British peony Thandie Newton (THE CRASH, MISSION IMPOSSIBLE).